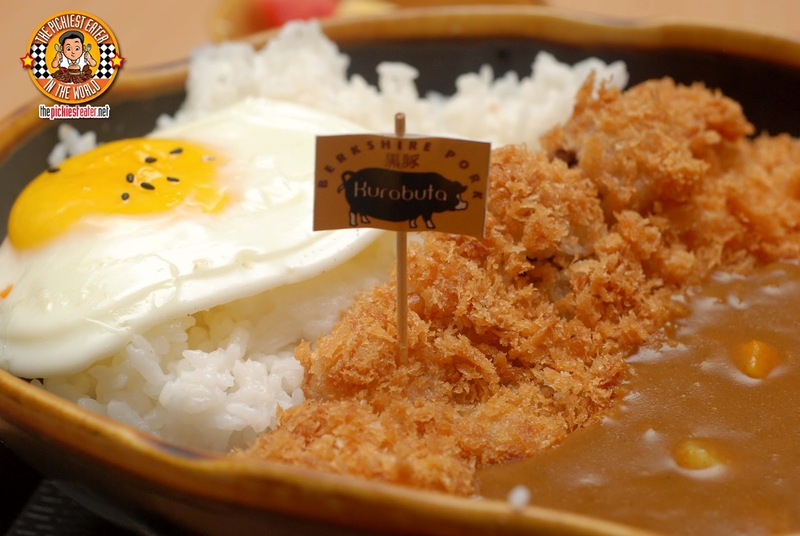 Whilst my Yabu GC Giveaway was on going, I came across a picture on their facebook page of their Katsu Curry dish. I must express to everyone that joined, especially eventual winner of the GC's, Elinor Semira, how extremely fortunate you all are that I started the giveaway before I saw the picture. Because had I seen it first, there's a very good chance that the P2,000 GC's up for grabs might have downgraded to P1,000.. Possibly even P500.. Or I wouldn't have had a giveaway at all! Seriously though, I promised Rina that I'd be taking her back to try the Seafood Katsu, so during the recent Four day weekend, I thought it would be a good time to go. So one Fine Saturday morning, I took Rina and Baby Rain to the Megamall branch, knowing full well that I'll be getting my katsu on a again a few days later, when their second branch opened in Robinsons Magnolia. What can I say? Anytime is Katsu time! A testament to how adorable my wife is.. After months of reminding me to take her to Yabu for the Seafood Katsu, our schedule finally permits it. As soon i'm finally about to order that highly anticipated Seafood Katsu set for her, she asks to take a quick glance at the menu.. And falls in love with the Special Katsudon, which wasn't on the menu the first time she and I went to Yabu. Except this time, it was even better than I remembered. It still had the excellent quality of Katsu that I remembered, as well as the other amazing that complimented it, such as the Bonito flakes and the Nori Strips (I don't usually eat nori, but this time it worked). But what made this better than my first taste of it, was the amount of Miso sauce they put on the rice, which was more generous than I remembered. It had a beautiful sweetness that brought the flavors together masterfully. 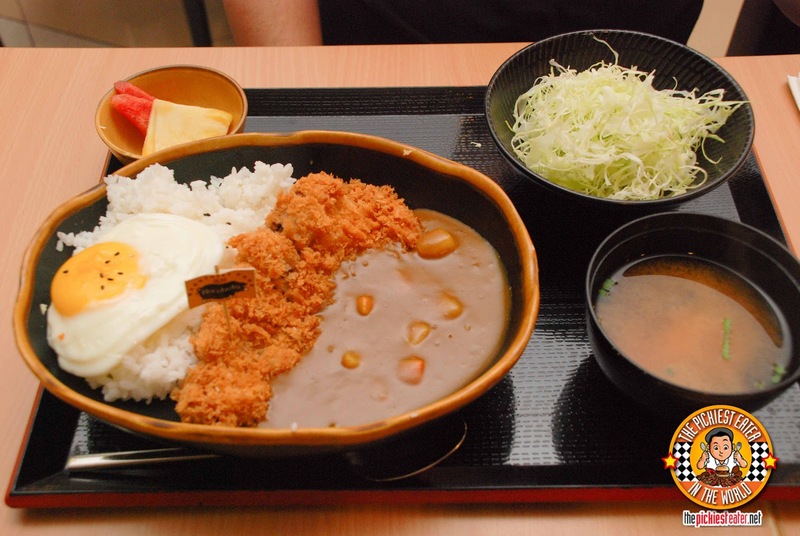 After my long wait, I finally got to try Yabu's Katsu Curry.. And I must say, it was totally worth the wait. But at the same time, I was kicking myself for not discovering this beauty sooner. The waiter asked me which version I wanted, because it's available in Rosu Kurobota (P615), Rosu Katsu (P330), Chicken Katsu (P320). Once you've tried Yabu's Kurobota.. You don't go back. So I said to hell with it and went for the Rosu Kurobota, and I asked them to add a fried egg for good measure, asking them to make sure that the yolk was still runny (Just the way I like it). The Curry sauce was nothing short of excellent. The curry sauce includes 45 different ingredients (Hell I can't even 45 RANDOM ingredients if you asked me to) and slow cooked until it because this gorgeous, thick, lightly sweet perfect compliment to the Katsu. In fact, I found myself mixing the carrots and potatoes that were swimming in the sauce into my rice and going to town on it. Though I asked for my Katsu Curry in a "Regular" level of spiciness (you can choose between Regular, Hot, and Very Hot), the heat was still present, and added a gentle kick to it in the end, while the egg adds a nice touch of creaminess. As always, the Kurobota Rosu was practically faultless. The pork was so tender, and the coating was cooked to perfection. Perhaps my only comment.. which isn't a bad one, just a matter of personal preference.. was.. I like my meat a bit fattier (hehehe). 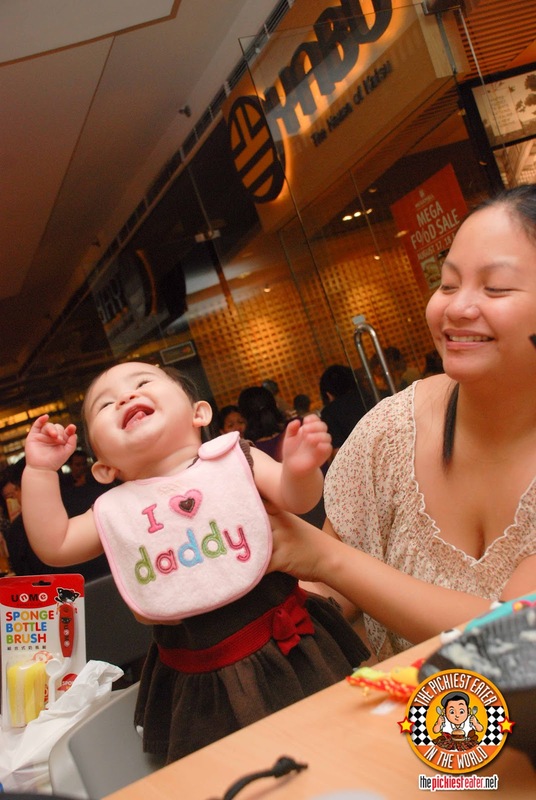 Even Baby Rain seemed to enjoy it at Yabu! 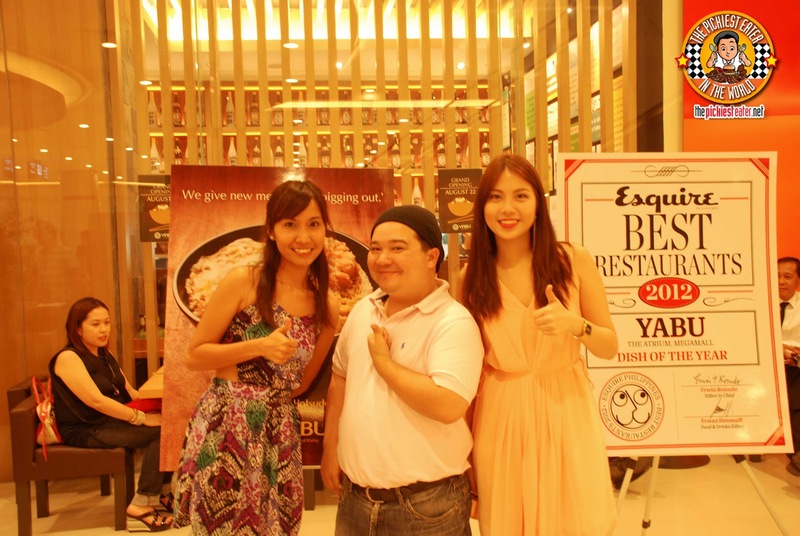 YABU AT ROBINSONS MAGNOLIA NOW OPEN! that made the evening possible.. Jel and Denise! As you can see from the size of my stomach, I enjoyed my Katsu Curry very much. 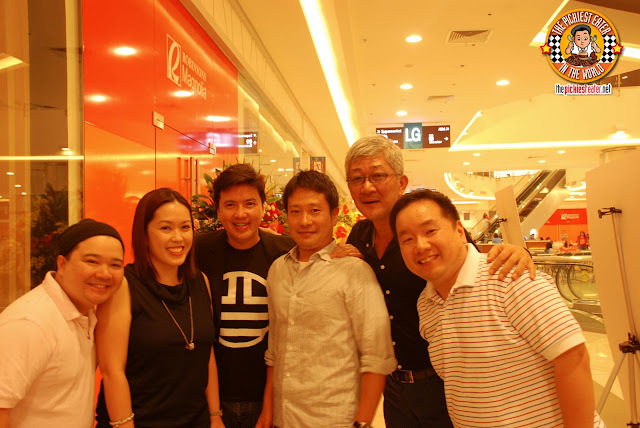 The wonderful people at Yabu were kind enough to invite me to the opening of their second branch, at the new Robinsons Magnolia mall. Since it's a newly opened mall, it's quite stunning to look at, and Yabu's newest branch fit right in. Located at the basement level (by the food court), the interiors looks similar to the Zen feel of its Megamall counterpart.. Although it might not have been evident on opening night because the place was packed with people having their mind blown by their katsus (I ordered the Rosu Curry AGAIN). 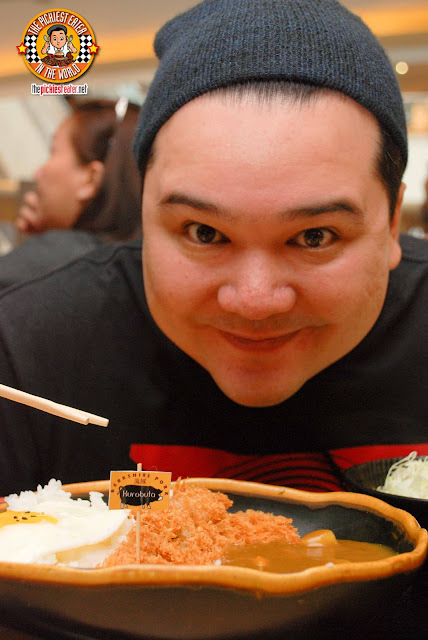 I had a surreal experience that evening, when a gentleman approached me, just to say that he really enjoyed my write up on Yabu, especially the infamous picture on the wall by the bathroom (hehe). Instantly, I knew who he was, because I had seen him in newspapers before, but the shocking part was HE knew who I was. The only thing running through my mind was, "John Concepcion knows who I am!". Mr. John Concepcion is the Managing Director and Chief Executive Officer of a little company you may have heard of... Unilever RFM Ice Cream Inc.
Uh-huh. You know that Magnum bar you're chopping on? That Cornetto in your freezer. Yup, that's him. More than anything though, what surprised me was how amazingly down to Earth Mr. Concepcion was, and how comfortable I was speaking to him. I was expecting to be all tongue tied being in a conversation with a titan of the food industry, but his relaxed, engaging demeanor made it easy. Congratulations on your second branch, Yabu! Can't wait to go back! Being a blogger is a tough job, but someone's gotta do it! You are officially allowed to get kilig for that Richie! Thank you so much for the love you've shown our Kurobuta Katsu Curry, he's really a star! Haha thank you for having me again! looking forward to going back! congratulations on a successful opening! 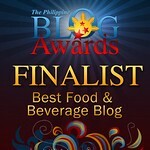 Hate reading your blog during lunch time! 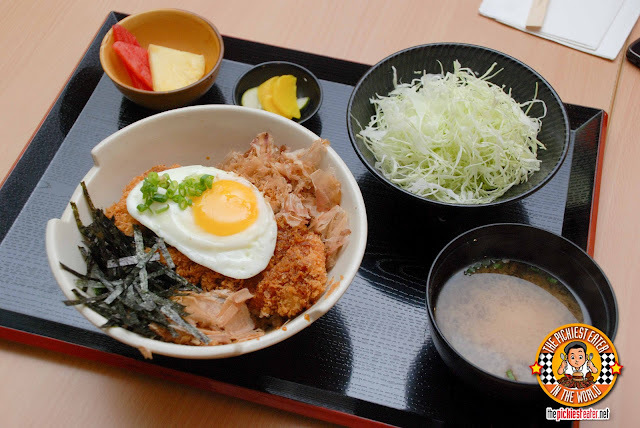 Now I'm hungry again ... tsk tsk tsk... :D I tried the special katsudon on my visit and it was really good! :) I still haven't tried the Kurobuta though but that's high on my list. haha now you know how I feel when i read YOUR blog, Allen! You MUST try the kurobuta!! 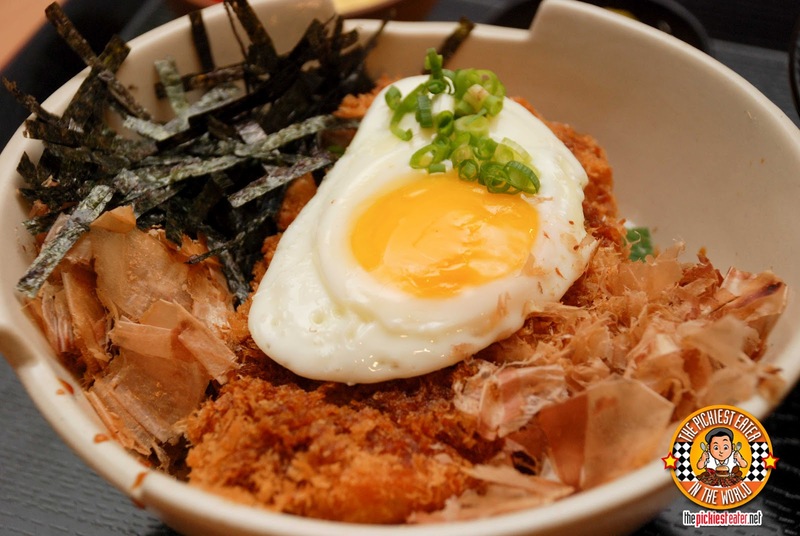 I am SO TERRIBLY FRUSTRATED, because I've been wanting to go to Yabu since it first opened, but I just haven't been able to go to Megamall to do so. >:-( I'm sure that, when I finally make it there, I will take even longer than usual (and that's saying A LOT) to decide what to order, since there are too many dishes I want to try! WHEN, WHEN, WHEEEEEEN will they open in Makati????? Hmm...well, MoA's even farther than Megamall. But hey, more branches mean more chances! ;-) When do they open there? hi mr. richie.. i love what you wrote about yabu. 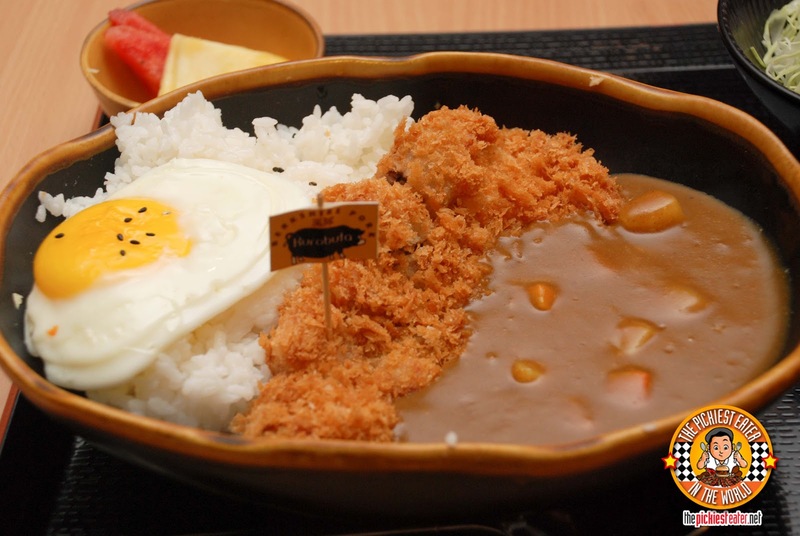 i wanted to taste their katsu curry but megamall is too far from our place. good thing meron pla sa rob. magnolia! uhmm.. what's the difference po pala between kurobota and katsu?.. Katsu refers to the name of the dish.. the style of cooking where they coat the meat in panko crumbs and deep fry it till its perfectly golden brown.. pretty much like what you see above! I checked out your blog as well! Great stuff!